Do you live in the Pacific Northwest Region of the United States? Are you considering what trees will do best in your backyard? It is no secret that certain plants, shrubs, and tree preform better in different parts of the United States. This is due to climate, sun exposure, rainfall, soil composition, and other contributing factors. Planting trees, plants, shrubs, and even grass that perform well in your region will give them a better chance of survival. It also saves you time and energy. Here is a list of the best trees to plant in the Pacific Northwest gardener’s backyard. 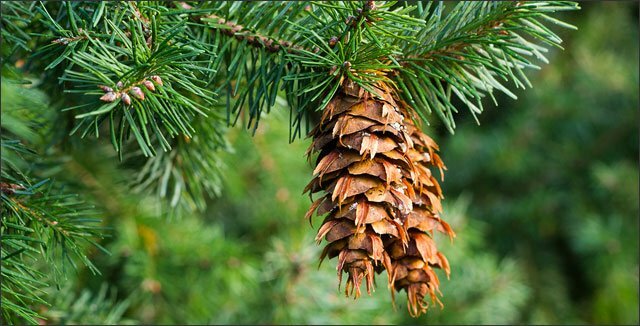 According to the National Wildlife Federation, the Douglas fir is considered to be one of the top 10 native plants for the Northwest. This tree is best known for providing families across America with Christmas memories since it is one of the most popular Christmas trees. It also ranks number one in total volume in timber, lumber production, and in production of veneer for plywood. 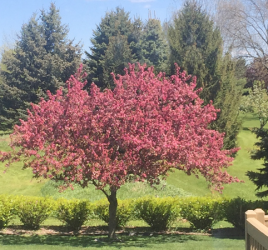 This tree offers a beautiful backdrop to any yard. It is described as a very large tree, with yellow-green needles. The Western Serviceberry tree, unlike the Douglas fir, is small and at times considered a shrub. It was also included in the National Wildlife Federation top 10 native plants for the northwest. What we love about this tree is that it provides a beautiful and unique look to the Pacific Northwest and produces delicious fruit. According to Oregon State University the following tree are common to the Pacific Northwest region. If you have had trouble growing trees is your yard, consider installing aeration tubes when planting. Aeration tubes have been proven to encourage deep root growth, great root mass and more above ground growth. Read all about it at 3 Reasons You Need to Install Aeration Tubes.